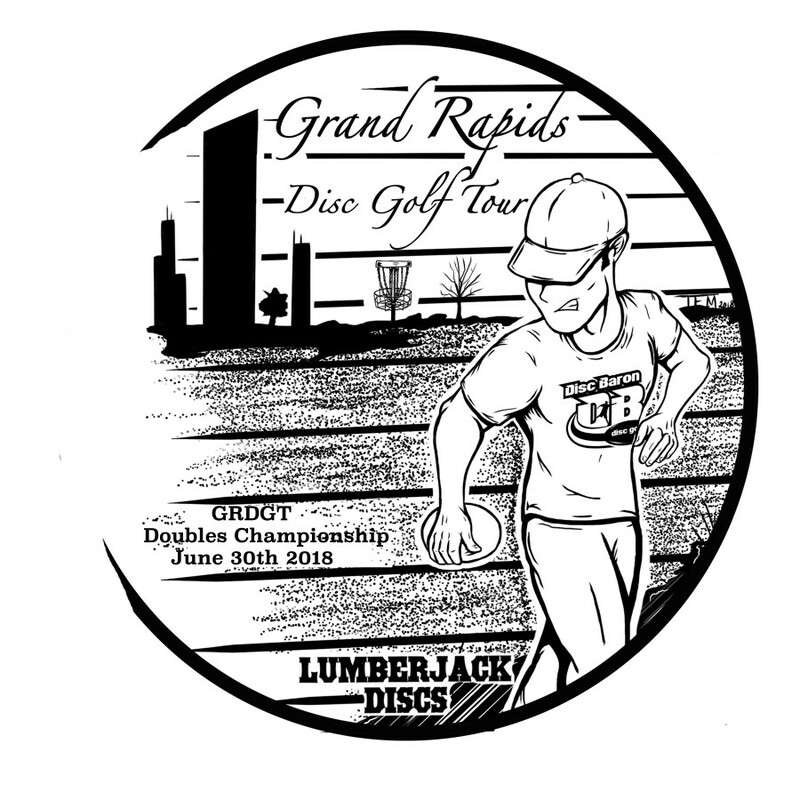 The GRDGT Doubles Championships will be held on Saturday, June 30th at Blue Gill DGC in Wayland, MI. This will be a bring your own partner (BYOP) doubles event. The tournament will include two round of partners best doubles play on the 24 hole layout of the Blue Gill DGC. $5 Ace Pool & $5 50/50 will be available for teams to enter. We will be giving away a brand new Zuca cart to one lucky winner. Every participant will receive 1 FREE RAFFLE TICKET with their paid entry. There will also be additional tickets available for sale, as well as several different prizes. There will be prizes on most holes, including 2nd Closest Shot, CTPs and LPs. You must be present to collect your CTP/LP prize. All hole prizes will also come with a raffle ticket for a chance to win a FREE INNOVA HEROPACK. The only way to win this is to get a raffle ticket from a hole prize. 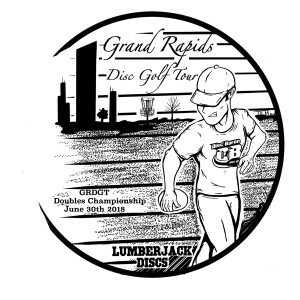 In accordance with PDGA payouts, we will be paying 45% of the finishers. Amateur payouts will be provided by Disc Baron in the form of coupons to Disc Baron retail or online store. COUPONS WILL NEED TO BE USED AT THE STORE OR ONLINE. PRODUCT WILL NOT BE BROUGHT THE DAY OF. Winners will have until 7/30/18 to redeem their coupons. Coupons must be used in one transaction and no change will be provided. Lunch will be available on the course. Jim Kajdan will be bringing BBQ & Sides for $10. Your choice of Brisket, Pulled Pork, Cheesy Potatoes, Baked Beans, Macaroni Salad and Fruit Salad. Bring an appetite, Jim makes some mean BBQ! Lunch break will last approximately 1 hour to 1 hour and 15 minutes after the last group has turned in their card. The details of this event are subject to change at any time. A. Players MUST email or phone their withdrawals to the Tournament Director only at the contact information posted for the tournament. Discussions with persons other than the Tournament Director, including other tournament staff, shall not be considered official. B. Players who have paid MORE than a nominal waitlist fee of $10 to be on an event’s waitlist who do not get into the event, or who officially request to withdraw from the waitlist prior to the event’s published closure of registration and waitlist replacements (within one week is recommended), will receive a 100% cash refund minus the $10 waitlist fee. Waitlist players who ONLY paid a nominal non-refundable waitlist fee of $10 will not receive a refund. C. Players who officially request to withdraw from an event at least 30 days before the start of the event will receive a 100% cash refund (minus up to a $10 handling fee). D. Players who officially request to withdraw from an event 15 to 29 days before the start of the event will receive a 100% cash refund minus up to a $10 handling fee ONLY if their spot in the tournament is filled through either the waitlist or a walk-up entry (if offered). If the player’s spot is NOT filled, the TD has the choice to provide EITHER a 50% cash refund OR just the player’s pack the player would have received if they had attended (minus the cost of shipping). In the case of a player in a Pro division for an event without a Pro player pack worth at least 25% of the Entry Fee, the TD will provide the 50% cash refund. E. Players who officially request to withdraw from an event within 14 days of the start of the event and prior to the event’s published closure of registration and waitlist replacements (within one week is recommended) will receive a 100% cash refund minus up to a $10 handling fee ONLY if their spot in the tournament is filled through either the waitlist or a walk-up entry (if offered). If the player’s spot is NOT filled, the TD has the choice to provide EITHER a 25% cash refund OR just the player’s pack they would have received if they had attended (minus the cost of shipping). In the case of a player in a Pro division for an event without a Pro player pack worth at least 25% of the Entry Fee, the TD will provide the 25% cash refund. H. If granted, the policy must be clearly published with all registration materials. I. If a TD vacates an offered division due to a lack of registered players for the division (see 2.01.K), any player for that division that does not wish to move to a different division that they are eligible for, will be provided a full refund.